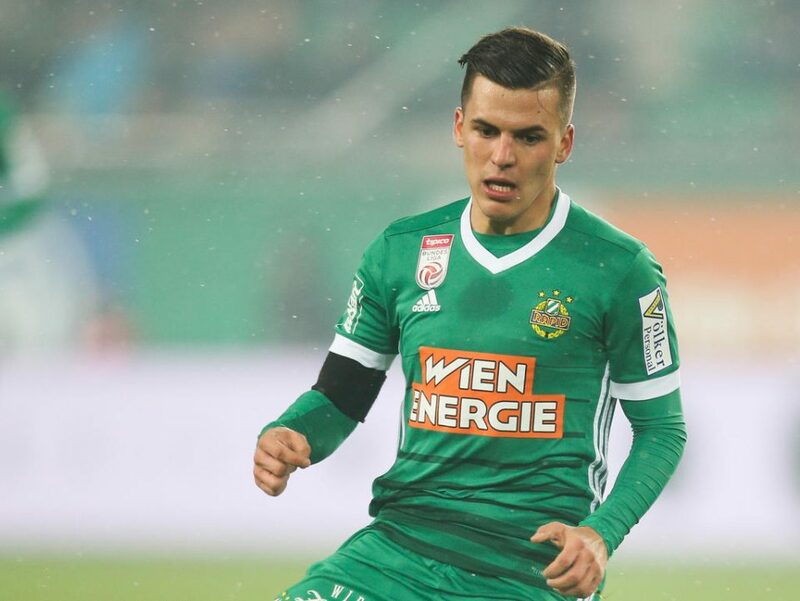 Rapid Vienna's Murg: "We Can Beat Inter On Home Soil"
Rapid Vienna midfielder Thomas Murg is confident that he and his teammates can beat Inter when they welcome the Nerazzurri to the Allianz Stadion for the first leg of their Europa League round of 16 clash this coming Thursday. “We want to show the best version of ourselves and we will try to do everything we can against Inter. I think that we can beat them on home soil. Perhaps we are even fresher than them,” the winger said in an interview with Kronen Zeitung ahead of the match. Murg also made it clear that he is aware that he and his teammates can not just sit back against the three-time winners of the competition. Rapid have struggled this season, particularly domestically with them lying in 8th place, but Murg has been a shining light for the team scoring five and tallying seven assists in 29 appearances across all competitions.